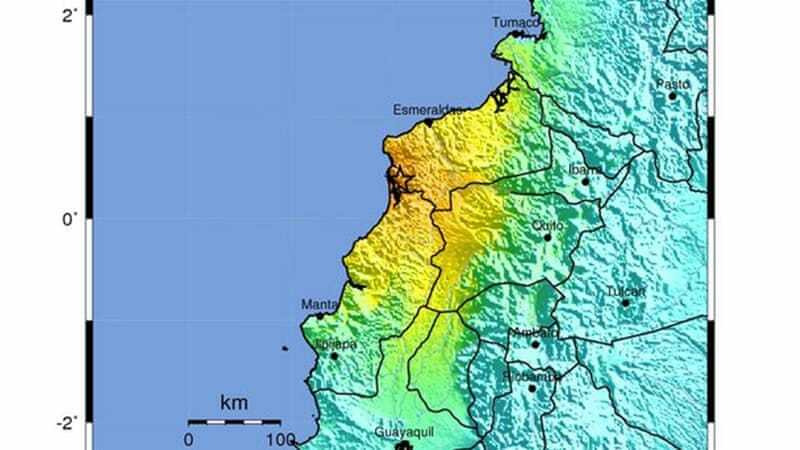 "Considerable damage" near epicentre and in Guayaquil, the second most populous city, caused by 7.8-magnitude tremor. I have been buying products from a company in Ecuador. Still waiting to learn if they are okay. They just posted on Facebook they are okay. Guy predicted this the day b4 it happened. Also a great updater on cme's, sol-flares and cern/haarp activity. Btw - EPac-shelf close to rupture - Cern on full output atm, g'luck. I worked with a guy that nearly every day looked at the sky, predicting, "It's going to be pouring down rain." Once every month or so he would be correct. "See? I told you," he reminded us each time. He's no 'medicine man' you judgmental judge. Graphs, sol-dilats, quake-sensors........ You're not worth the post - But take 4 minutes to watch b4 you ever typify what I frikkin offer you. Then judge my credibility, in accordance to such. 2. Lack of Command and Control. The federal government here has done everything it can to save lives and preserve order. But no one was prepared for a disaster of this magnitude. There are many distinct groups bringing in supplies but little to no coordination between them. The government here brought in 80 body bags, but confirmed dead is now approaching 1,000. You would think that with the number of severe earthquakes hitting points on the Pacific's "Ring of Fire," there would be international organizations created to provide hierarchical structures to prevent this kind of widespread chaos, but apparently, no such structures exist. This has led to widespread waste of resources. Thousands of bottles of purified water were brought in, only to have many of them sit on the beaches in 35 C (95 F) temperatures, bursting before anyone could actually drink from them. 3. Looting. One convey of 10 trucks here was escorted by a police vehicle, and as it approached Manta, it was overcome by a mob of thirty men who didn't hesitate to attack the police vehicle first. In Pedernales, a group put out the word that a tsunami was coming, and after people evaculated the town, those who left had their homes robbed. We can't confirm that this was a coordinated effort, but many First Responders believe that it was. 4. Animal Response. Dogs and other animals can be seen running through the streets, carrying a human hand, part of a face, or other human body part in their mouth. With nowhere else to get food, domesticated animals have taken to feasting on the mass of human remains for which there is too great a number for Responders to get to in a timely manner. Some of the mosquitoes in the area are an inch in length, and thousands of people who have to sleep outside at night (because the danger of re-entering their homes is too great) have to cover themselves with netting (if they are even able to obtain it) to prevent getting overwhelmed by mosquitoes at night. Scorpions, snakes, and other verment are partaking of the feast, as well, increasing their numbers as more of them make an appearance. 5. Orphans. There are close to a hundred children (and their number of growing) who have been identified as orphans. With their parents gone and no one else to take care of them, relief efforts are being made to find them homes. 6. Most of the Missing Will Be Confirmed Dead. It is now a week since the disaster struck, far past the 72 hour window past which only 3-5% of those left in the rubble of the 10,000 levelled buildings can be expected to be alive. In the end, the total confirmed dead could be 3,000 to 4,000, placing the loss of life on the order of the 9/11 disaster. Easily, this is the worst disaster in terms of effects on human life, that we have seen in our nearly 10 years of living in South America. 23 Apr 2015 @ 2:45 Quito Time : "My name is Robert Higgins, and I am coordinating efforts with people that have boots on the ground in the affected areas on the coast. First I would like to say that the damage and devastation is much worse than the media is reporting. My contacts are reporting that, at this time, there are 1,500+ dead and there are remote areas that help has not been able to get to yet. There is a major problem with looting, theft and corruption. Please check carefully on who you send money to. I am currently helping coordinate three initiatives. One is a government-sanctioned tent city with compost toilets and a food kitchen that will serve 500 people. There will also be between 80 and 100 orphans that will be relocated to Cuenca within the next few weeks. We will be working with a organization called Ecuador Cares (EcuadorCares.com) that works to support the orphanages in the area to do what we can for these children who have endured so much. Lastly, I am working with a team that is venturing into some of the more remote areas to help people who have not been reached yet by the official organizations. Nearly two weeks after a 7.8-magnitude earthquake struck Ecuador, killing at least 654 people, a Venezuelan rescue crew pulled a 72-year-old man from the rubble of a building. Manuel Vasquez was discovered by Venezuelan rescuers in the fishing town of Jaramijo on Friday while doing building inspections after they heard him making noises from underneath the rubble of a partially collapsed building, according to a statement released Saturday by the Venezuelan embassy in Quito. Vasquez, who had been trapped in the building since the April 16 earthquake, was dehydrated and disoriented, and was suffering from kidney failure and a urinary tract infection. The embassy said he also lost several toes. Ecuadorian Vice President Jorge Glas called the seismic event "the strongest quake we have faced in decades," adding it was the strongest quake registered in the country since 1979. The nation's armed forces and police were mobilized to keep public order, and Red Cross Ecuador had said more than 1,200 volunteers had taken part in rescue efforts, evacuation and first aid operations. Ecuador's Risk Management agency said 10,000 armed forces personnel were deployed to help people in the coastal areas. A second earthquake that struck Ecuador Wednesday, 15 miles north of the city of Rosa Zarate, left at least one dead and at least 87 injured, according to CNN en Español and other media outlets in the area. The full extent of the damage of the second earthquake with magnitude 6.8 was not immediately clear. Rafael Correa, Ecuador's president, tweeted that all classes would be canceled to survey the damage. He added that classes at universities of Manabi and Esmeraldas would be nixed until Monday. Wednesday morning an earthquake with magnitude 6.7 happened near the Pacific coast, with the epicenter 21 miles from the town of Muisne in western Ecuador, according to the U.S. Geological Survey.